LOS ALTOS, Calif., – May 2, 2017 –BottleCru® has announced a major expansion to BottleCruapp.com, a web-based smartphone app devoted to edutaining the consumer about the classic wine styles of all popular varietals and blends, to empower them to reliably select wines they love. A wine’s style is a standardized description of its aroma and taste. For example, a wine’s style may be described as jammy, oaky and buttery or tropical and light. In addition to defining the major styles of the most common varietals, such as Cabernet Sauvignon and Chardonnay, the app now includes styles for a wide-range of wines such as Albariño, Chenin Blanc, Gewürztraminer, Malbec, Riesling and many more. Bottlecruapp.com is different from other wine apps because it helps consumers determine the style of wines that match their palate preferences. Wines made from the same grapes don’t always taste the same. That is, not all Cabernets or all Chardonnays taste alike because they are produced in several distinct styles. It depends on a variety of factors including where the grapes come from and how the wine was made. Once consumers understand their style preferences they will be able to reliably select wines they’ll enjoy. The number of food and wine pairings in the app has also increased dramatically making it even easier to select a wine to pair with a broad range of foods, including ethic dishes, cheeses, desserts and even party foods. Need to know what wine to serve with grilled tuna, lamb kebabs or pad thai? Bottlecruapp.com has the answers. There is also the ability to select a wine for two different dishes, an added bonus when dining out with friends. 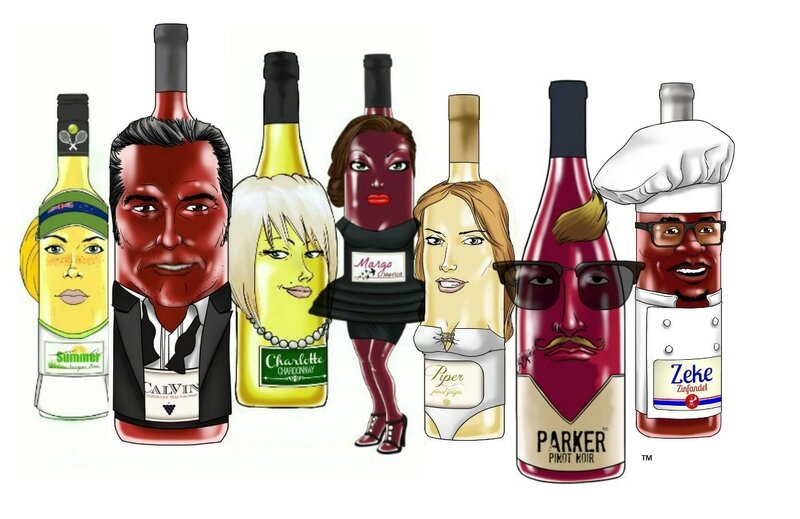 Bottlecruapp.com has defined the different classical styles for all common varietal wines and blends and designated a vinotar® (think avatar) for each. For example, CalVin Cabernet™ is the vinotar for Cabernet Sauvignon. He has three styles: Big CalVin,™ Cool CalVin™ and Earthy CalVin.™ A list of Master Sommelier-curated wines for each style is also included in the app as well as the appellations or regions where the wine style is typically found. If consumers can’t find a wine specifically recommended in the app they are guided to select a similar style wine from a region listed. With the styles-based approach to wine, BottleCruapp.com provides consumers the confidence to communicate their wine preferences when ordering in a restaurant or purchasing at a retail store. 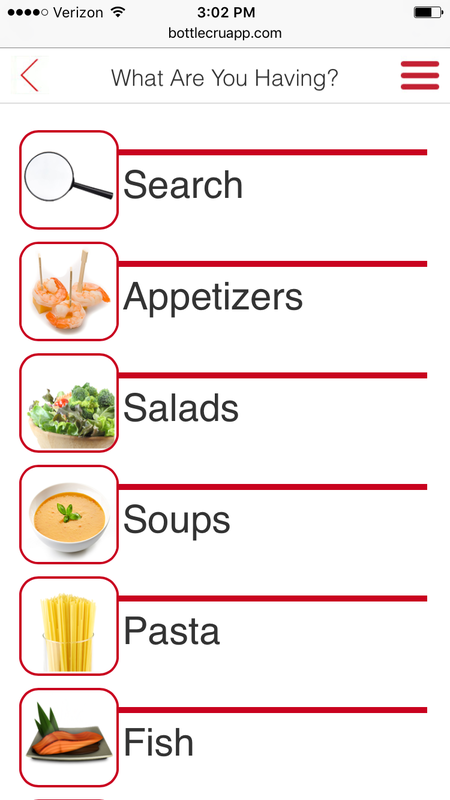 The app includes a glossary of wine terminology, guides to tasting and ordering, and also a personal tasting history. BottleCru® is the company which developed BottleCruapp.com a smartphone web app that offers a unique and fun approach to wine tasting. It helps consumers determine their personal style preferences by exploring the distinct styles of wine varietals and blends. Once they identify their favorite styles, they can repeatedly buy and order wines that match their personal palate. The approach simplifies and removes uncertainty around the wine-buying experience. BottleCruapp.com is currently a free download. For the full experience and to view all of the apps features please visit bottlecruapp.com using your smartphone’s browser.